That's the question on every Bachelor fan's mind heading into Bachelor in Paradise's August 7 premiere when it comes to Colton Underwood and Tia Booth's relationship, thanks to the drama that unfolded during her BFF Becca Kufrin's season of The Bachelorette. 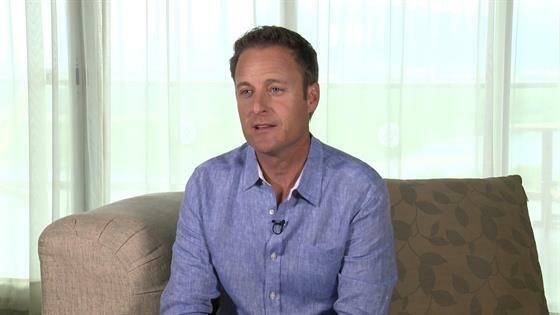 Even host Chris Harrison was anxiously anticipating what was going to happen (or possibly "not happen") when Tia and Colton came face-to-face for the first time in Paradise's palapa. "They haven't talked, there's so much tension," Harrison told E! News when we went down to Mexico ahead of the first day of filming. "I feel like that's going to melt down or it's so hot they're just going to make babies." "I know on the show I called it a relationship because the fact of the matter...anytime you talk with somebody, you have a relationship," he said during his time in the hot seat. "So I spent time with her before The Bachelor even aired. She knew I was going onto The Bachelorette...and she was encouraging of it." So this sort of syncs up with what Colton said during his interview on Ben Higgins and Ashley Iaconetti's Almost Famous podcast following his elimination after his hometown date, except for one major point, which we'll get to in a minute: Colton first became aware of Tia in December, before the contestants for Arie Luyendyk Jr. 's season were revealed, as producers asked him to tell them his top three, based purely on looks, during his casting session. (He picked Becca, Tia and Lauren Burnham.) After that, he followed all three women on Instagram, with Tia following him back soon after. "So as far as it goes, we had a good weekend," he said on the podcast. "I set everything up, we went hiking at Runyon [Canyon] with rescue puppies, we went out to a steak dinner...it was a great date, great weekend." However, Colton said they both left the weekend knowing they weren't ready to close out other options, with Tia saying she would still say yes if she was offered the Bachelorette gig. Regardless of that, the late January weekend didn't inspire a desire for a committed relationship. "There wasn't enough for me to say, 'Hey this is my person, I'm closing all my options out,'" Colton said, adding Tia texted him wishing him good luck just two days before filming. And, for the record, Tia told Becca that all she and Colton did "was kiss" during that weekend, but did say there was "a possibility" Colton was hoping Tia was going to be the Bachelorette when he agreed to come on the show. But for Colton, he was surprised Becca didn't recognize him on night one, because he had sort of met her before--on FaceTime via Tia herself. "While I was FaceTiming Tia one weekend, Becca was with Tia in Florida," he revealed. "I met her and Caroline [Lunny] on FaceTime very briefly. Tia told me she told those two girls, but that was it. That was the extent of it." Colton admitted he was pretty "blindsided" by Tia showing up to tell Becca she still had feelings for him just ahead of his elimination. "I was not expecting that at all. I thought it was in the past," he said on Almost Famous, revealing the three of them sat down during the spa group date to hash everything out (which was never aired). "We were all on the same page and moving forward with it. It was a little shocking when I heard she came back to talk to Becca." "I feel like we just have a big question mark right now because we haven't talked since he left for filming and we saw each other on the group date," Tia told us. "Going into it I would be nervous to talk to him if he was here, but it would also be a relief just to have everything out on the table." "To those who have been blasting Tia, please take a moment to reflect on how it would feel if someone said such hurtful things to you or a friend of yours," she wrote. "Tia and I went on a TV show for the chance at love that would be portrayed to the world, but that doesn't mean we signed up for others to make such harsh judgments based upon what is shown in only two hours and to spew hatred without actually getting to know us for who we are." She added, "Everyone is entitled to their own opinion but that should allow for people to vocalize such hatred when it's not warranted. If I can let it go and move on from one conversation then I sure hope everyone else can too." And at the Tell All special, she confirmed, "I'm still friends with Tia, we talk all the time. Tia's gotten a lot of backlash for that conversation and I don't want that at all. We are still close." So now, of course, the interesting thing will be to see how Colton and Tia's first conversation goes because, as we know all too well, anything can happen in Paradise.